This article about printing on the surface of water amazes me. Having taken my share of undergraduate and graduate fluid mechanics classes and having struggled with waves in engineering physics, it boggles my mind to think someone could control them this well. So...where are you putting your cell phone? Cell phone usage apparently affects sperm quality. I'm quoted in a story on CIO bloggers in Information Age by Michelle Price. The article also has profiles on four active CIO bloggers. The biggest problem CXO bloggers face is that it's impossible for people to separate the views expressed on the blog from official policy or decisions. That puts significant pressure on CXO bloggers to weigh their words and is the reason there are so few. At the next Provo Linux User's Group meeting on the 8th of November, Kevin Tew will be presenting Cardinal, a Ruby implementation on Parrot that he's working on. I rebuilt Emacs today. I've been relying on a binary I transfered from my old machine. Rosetta is so good, you'd never know it. Boy is EMacs faster when it's built for the Intel chip. I used these instructions and they worked great. No issues at all. Last week, Matz, the chief designer and creator of the Ruby programming language stopped by BYU on his way to RubyCon. I was fortunate to go to lunch with him and capture the colloquium talk he gave. I've posted his talk on IT Conversations. I'm still working on getting slides to post. Update: Slides from Matz's talk are available. It's snowing... First snow of the season. None of it's sticking yet, but it's fun to watch outside my window. I hope we have a good winter. Norman Walsh is using OpenID in his photodata.org application and liking it. He has Ruby code (not Rails) that you can swipe if you like. Pop!Tech is happening now in Camden Maine. 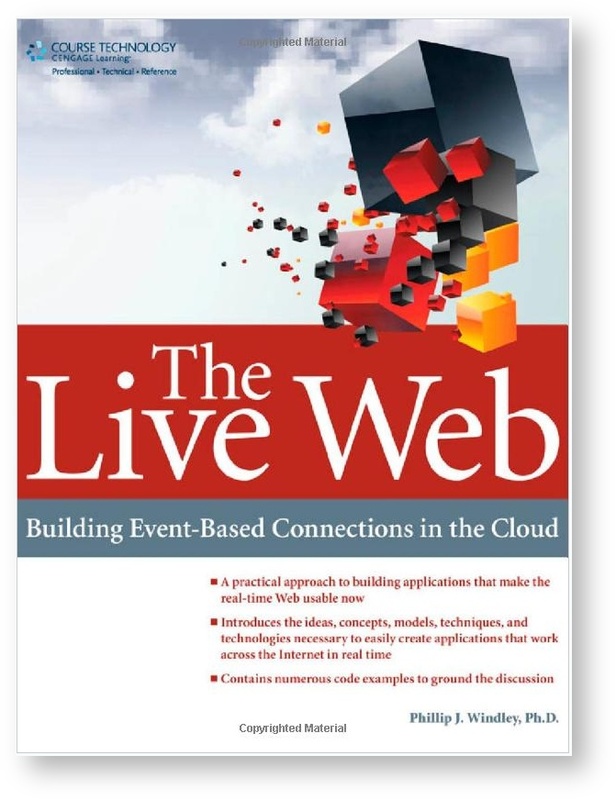 We'll have all the sessions on IT Conversations later this year or early next year. If you're interested in listening live, Pop!Tech is streaming conference sessions with video. There's also a blog stream that's fun to read. My post yesterday about Ralph Griswold's death sparked a comment by Chris Loosely about the Computer History Museum's founders series. David Berlind has a post, with video, from that event. Incidently, we're holding IIW2006B at the Computer History Museum in Dec. We had IIW2006A there in May and it was an excellent venue. Here's a little gem for you: Vonage sends out the Linksys RTP300 analog telephone adapter (ATA) with DHCP enabled by default. That's handy when it's the only router you've got, but when you plug it into your network and it starts fighting with your other DHCP server, life gets interesting. I learned the Icon programming language as a grad student at UC Davis. Ron Olsen, then a new assistant professor had just gotten his Ph.D. from Arizona where Ralph Griswold, Icon's inventor taught and he brought it with him. Icon has a number of interesting programming language features. Griswold was also the inventor of SNOBOL. He died a few weeks ago. Computer Science has always been a discipline where the founders were still around. That's changing. This morning I was listening to Karl Fugel talk about tools developers need and thought about Doug Kaye. Here's why... Yesterday Doug sent out a note to a few friends asking what editor they used to writing code on OS X. I use emacs. not only do I use emacs, but I thrill to emacs for one simple reason: it's infinitely malleable. It can be made to do almost anything and has. I use it for just about everything I do. Programmers should be tool builders. If you're not building tools to make your life easier, you're wasting time. I put a piece on federated identity hubs like InCommon and Covisint up at Between the Lines. This Wednesday at 3pm (note the time change), Yukihiro Matsumoto, aka Matz, the creator of Ruby will be giving the colloquium in 1170 TMCB. The colloquium is open to anyone who's interested in attending. I suggest getting there early. Some people hate them. I happen to think they're very funny. In any event there's a new batch of Mac/PC ads out. Watch the expressions on PCs face when Gisele Bündchen walks out in the "Better Results" ad--he's very good. I just put an article up at Between the Lines on why electronic voting is scary. Stuffopolis is accepting OpenID for users leaving reviews. With North Korea's testing of a nuclear device, the UN Security Council will be under pressure to take harsh measures. For example, they might condemn the test in vehement tones. I had a good time speaking at USU today. I gave a talk on digital identity and the reputation framework. While I was there I met and got to spend a little time with Justin Ball and Dave Wiley from the Center for Open and Sustainable Learning. They've got a project right now that will require them to choose a cross-domain identity (user-centric ID) system. We had a good discussion of the options. Stephanie Kesler sent me a link to Isaac Szymanczyk's blog showing a picture of my book. Cheers, Isaac! 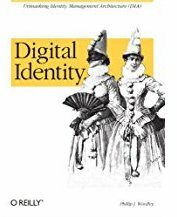 I'm going to be speaking today at Utah State University on digital identity. I believe the talk is at noon in room 416 Old Main. I just got done listening to Denise Howell's interview with John Furrier, the founder and CEO of PodTech.net. John will be in Salt Lake on Thursday for a meetup with Rocky Mountain Voices.